Video Games and the Brain - good or bad? - OMG Parenting!OMG Parenting! 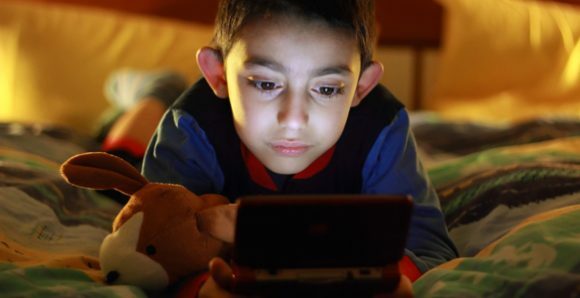 So you wonder about all this video gaming and what it really does to your child. What a great thing to be thinking about since it’s such a potent force in a families life. To give you some good, and entertaining, insight into the effects of video gaming, I’ve posted a link at the bottom of the page. It’s to a Ted-X talk. Have fun with a couple of the ‘tests’ the presenter puts listeners through during the talk. It’s called cognitive neuroscience research, from her Brain and Learning Bavelier Lab at the University of Geneva. there are behavior changes you don’t like? you feel they are too absorbed in the games? A good reality check on this is how would you react if your son/daughter was reading for hours through the night and not wanting to go to school/watching TV for hours…. you want them to pay attention to some ‘real’ life things that matter to the household? you overheard others saying really negative things about video gaming? So here’s the video from Daphne Bavelier. It’d be great to hear from you after you watch it. If you aren’t already, would love to see you in the OMGparenting community – sign up for the newsletter! It’s brief (I know you are busy). You’ll say ‘oh that’s why’, or ‘oh, I’m not alone’ to the fun facts. And you’ll get inside information on what’s newly posted so you won’t miss out on anything important to you.